Stuart MacFarlane – Arsenal Football Club Chief Photographer. 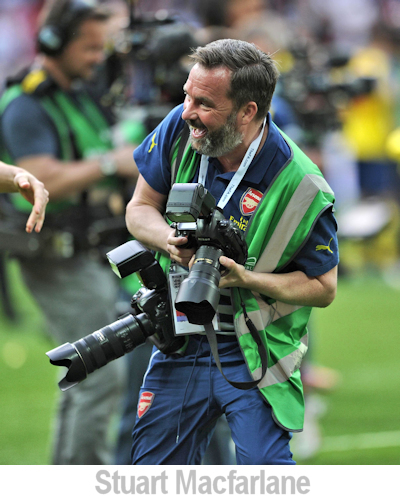 To the football-loving sports photographer (who also supports Arsenal), Stuart MacFarlane probably has the best job ever, Chief Photographer for Arsenal Football Club. There can't be many people on the planet who haven't heard of Arsenal. They're one of the biggest sports clubs in the World with the 5th largest fanbase of any football team based on social media activity according to this Deloitte report and Forbes ranked the club as fifth most valuable in the World. We talk to Stuart who tells us about his role within the media team of the sporting giant that is Arsenal FC. Our next door neighbour when I was very young worked for Kodak, he had a studio in his house and I’d sit and watch him work. Do you have a formal education in photography? What was your 1st photography job? I think it was some PR pictures for a Department store in Bromley. Can you describe your career up to becoming Arsenal’s chief photographer. After Photographic college I got a job at Colorsport as a black & white printer, within a couple of weeks they sent me out with a camera. How did you get the job at Arsenal? In 1990 Colorsport started covering matches for Arsenal and in time became their official photographers. In 2001 they were looking for a full time staff photographer and asked if I’d consider the job. You started as a general sports photographer at Colorsport, do you miss shooting other sports? At Colorsport I cover many different sports but my main ones were football and rugby. I did initially miss shooting other sports but football is my real love so I’m very happy where I am. Tell us about your job at Arsenal. Believe it or not the job is pretty varied. My 1st team duties include all matches, training sessions, player features etc. We also cover all Arsenal teams from the Under 9’s upwards and the Ladies team. Away from the football we shoot and provide imagery for all departments across the club. We also work closely with our commercial partners to fulfil all their image requirements. How are your images used? 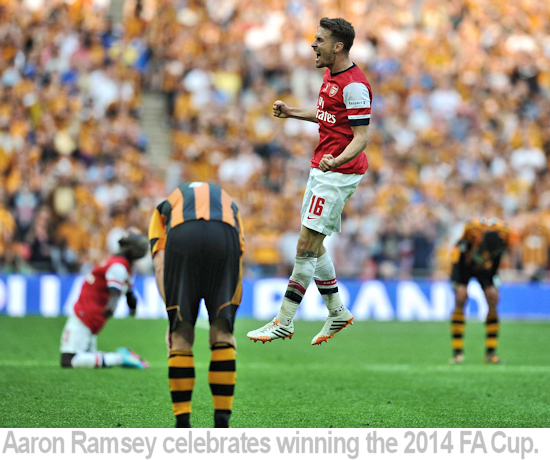 Our images are used on arsenal.com, Arsenal’s Facebook, Twitter and all other social media platforms. 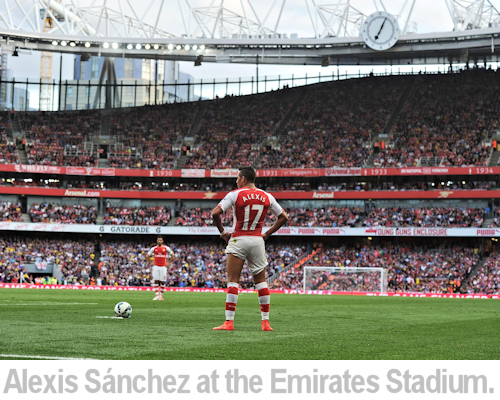 Also in all club publications such as the matchday programme and the Arsenal monthly magazine. We also work with Getty Images who syndicate all our pictures. What have been your highs and lows in the job? The highs and lows are all linked to the success for the football club. So winning the league in 2002 and 2004, the FA Cup in 2002, 2003, 2005, 2014 and 2015 were brilliant times. And the only real low is losing in the final of the Champions League in 2006. You must have visited thousands of ground over the years. Are some better than others? Yes, I have my favourites but that’s grounds but its generally down to working conditions, floodlights and wifi. Are you looking to shoot video? No not really, we have a video team at Arsenal who cover this for us. You’ve recently put together a book about Arsene Wenger. How did that come about? A couple of years ago I supplied pictures for a book about Arsenal’s ‘Invincibles’ written by Amy Lawrence. A few months later Amy suggested we produced a picture book, the timing of Arsene Wenger’s 20 years was perfect. After we’d selected the images Amy and I had time with Arsene Wenger to talk through the pictures and memories they brought back. He really was amazing and his words with our pictures have really made the book special. Do you have any favourite pictures? There are too many to mention, I’ve been lucky enough to cover so many memorable moments at Arsenal. What’s your best piece of advice anyone ever gave you? Not really advice but this really spurred me on. When I was 13 I went to a careers evening at school with my parents. The school invited a local photographer to advise me on a career in photography, he said don’t bother at photography as its impossible. Do you have any advice for photogaphers wanting to make a career in sports photography? Just to never give up however many times you get rejected. 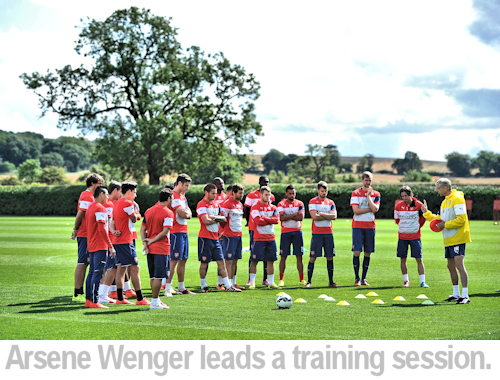 All images in this article are © Arsenal Football Club and used with permission.